Texas is again taking the U.S. Environmental Protection Agency to court, this time challenging new rules aimed at slashing methane emissions in the oil patch. 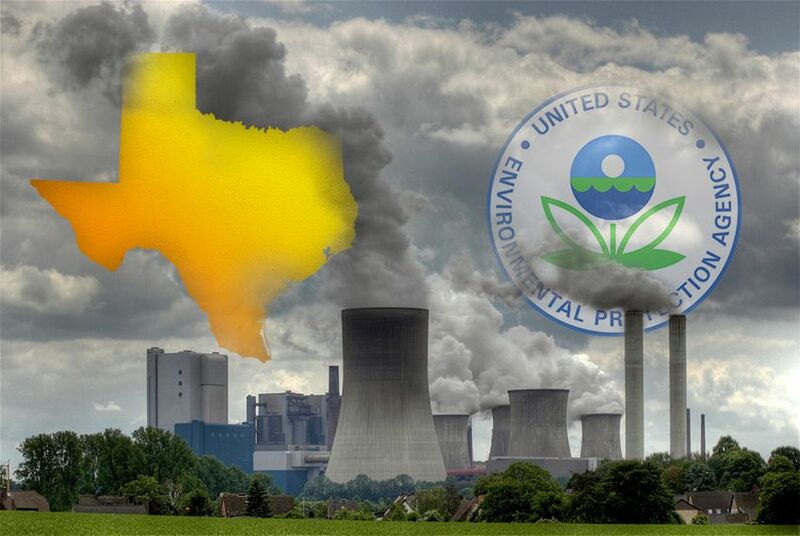 The state of Texas is again taking the U.S. Environmental Protection Agency to court, this time challenging new rules aimed at slashing methane emissions in the oil patch. Texas Attorney General Ken Paxton announced the lawsuit Friday, calling the agency's rules “a gross demonstration of federal overreach” and accusing regulators of failing to consider the price tag for oil and gas producers to comply. Filed in the U.S. Court of Appeals for the District of Columbia Circuit, the challenge has been consolidated with those from other states. It is Texas’ 43rd lawsuit against the federal government since President Obama took office in 2009. Paxton has filed 12 of those challenges. The federal regulations would slash emissions of methane, a gas that often leaks from well pads, compressor stations, processing plants and other equipment used in petroleum production. Part of Obama’s multi-pronged effort to crack down on emissions of gases that contribute to climate change, EPA officials have suggested that the regulations will protect public health and reduce other forms of pollution wafting from oilfields. But the move has rankled Texas petroleum industry groups — especially those representing small producers — who call it a solution in search of a problem that will hurt producers already reeling from low oil prices. Environmental and public health groups have cheered the regulations, calling them a needed way to combat climate change. Other U.S. efforts to fight climate change have focused on carbon dioxide, which accounts for the vast majority of greenhouse gases emitted in the country. But methane, the primary component of natural gas, is much better at trapping heat. One pound of methane has more than 20 times the impact on global warming as one pound of carbon dioxide over a 100-year period, scientists estimate. The regulations — part of the president’s broader plan to cut methane emissions by 40 to 45 percent of 2012 levels by 2025 — would require the industry to limit releases of methane and volatile organic compounds at hydraulically fractured oil wells. The rules also target leaks “downstream” from production sites, including equipment that compresses and transports natural gas. They would also phase in “green completion” requirements — that operators capture methane that's otherwise burned off at existing wells. The EPA says its new rules would yield $690 million in climate benefits in 2025, outweighing the estimated cost to industry of $530 million. Oil and gas industry representatives have pointed to EPA data showing total greenhouse gas emissions in the country have dropped amid a drilling surge to suggest that fracking yields climate benefits — as cleaner-burning natural gas replaces coal-fired power. In its latest emissions inventory, the EPA, incorporating more data and analyses, dramatically increased its estimate of methane releases from oil and gas industry sources. It concluded that natural gas systems were the biggest U.S. methane emitters — larger than agriculture, as previously thought. And petroleum systems emitted the fourth-highest totals, behind landfills.